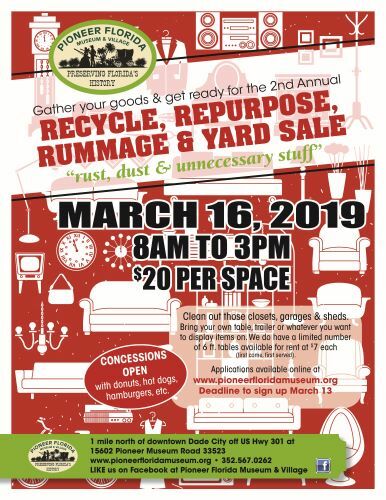 2nd Annual Recycle, Refurbish Rummage & Yard Sale. Bring your wares & tables. We will promote the event heavily on social media and the newspapers. We have a limited number of tables available for rent at $7 each. $20 per 12 x 12 space to vend and we will have Free admission to get in. Set up time begins at 6:00 am or the day before between the hours of 12-4:00 pm. We have a limited number of tables available for rent at $7 each.